Once again in my studio, I have dotted Swiss curtain panels at the windows. 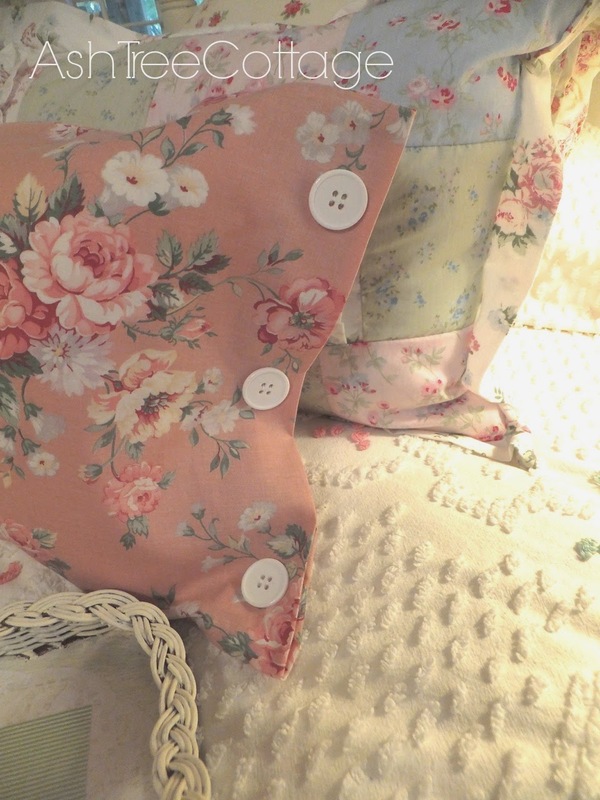 Adding button closures to a pillow is another thrifty way to add pop. 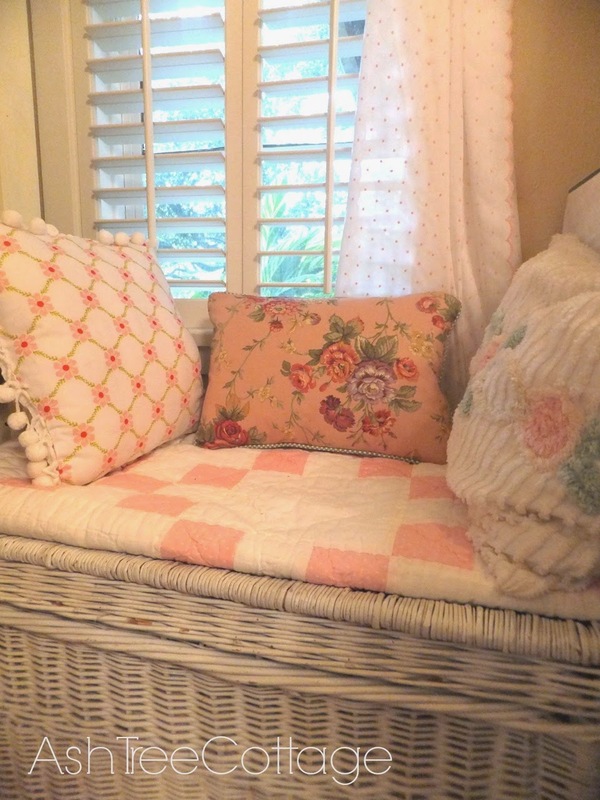 woven wicker and the smooth cotton add interest to the vignette. adds interest and when coordinated with the colors in the room makes it all pop! that y'all are looking ahead to a fun filled and creative week. at home. Life is good. Adore all your pretty pinks! Been in a bit of a crafting slump. I am working on another wooden beverage tray. I've cut the pieces & glued the bottom together. I hope I can shake this blah feeling soon. It is definitely stalling my creativity. I work at JoAnn's tomorrow, maybe that will perk me up. Love your pillows Susan. Thanks for sharing. What a pretty, serene and inspirational corner. Love those curtains and all of your pink. This is my kind of post! I have the same platter you have in your photo, and I often frame cards to use as an accessory. Love the texture of the storage trunk. Beautiful colors, and your room is just lovely! Enjoy your day in your pretty room! 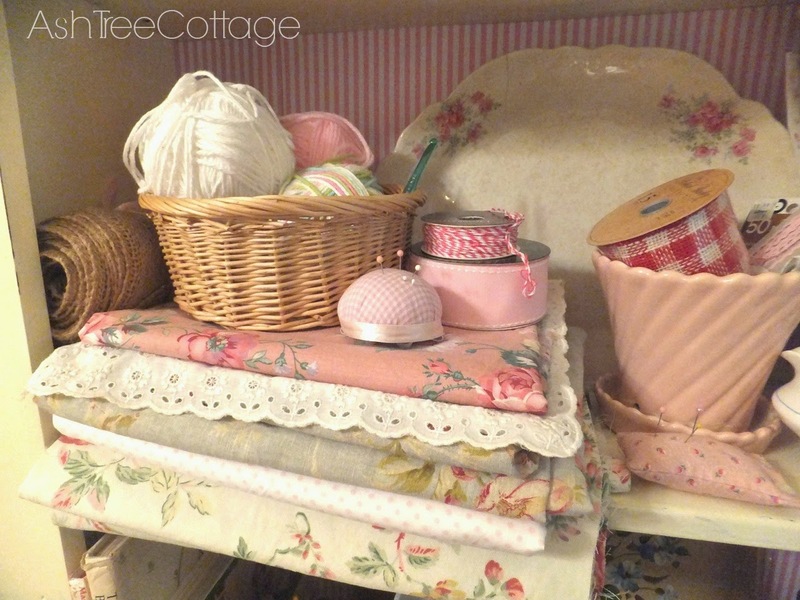 Loved all your tips Susan and I always enjoy visiting Ash Tree Cottage. Everything is always so pretty. We live east of Houston, very close to Sylvan Bay and we've also got windy, cold and wet weather. We're staying in and staying warm also. There was NOT one single thing that you showed that I didn't just love. All of it is just adorable. that tiny stripped wallpaper backing in the cabinet..those pillows, all of it. Your taste is adorable, cozy and what so many want to accomplish! Lovely! I loved every bit of it! Gorgeous! Staying warm inside today as ice is raining on my windows! Love all your pinks! I had forgotten all about dotted swiss. So perfect and softness at the same time. Love all your patterned materials and that picture and frame were so cute. I'm on the look out now for something along that idea. Just remembered I have two very pretty oval off white frames that I got for a steal when I worked at Hallmark. Now thanks to you Susan, I'm inspired to find just the right pictures to put in them. 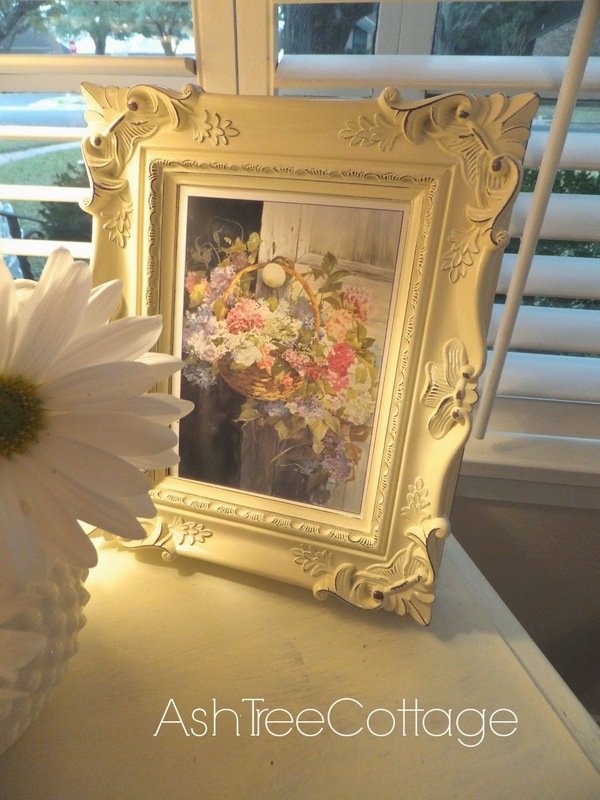 Thanks again for sharing all your pretty vignettes & great decorating ideas. You're a peach! 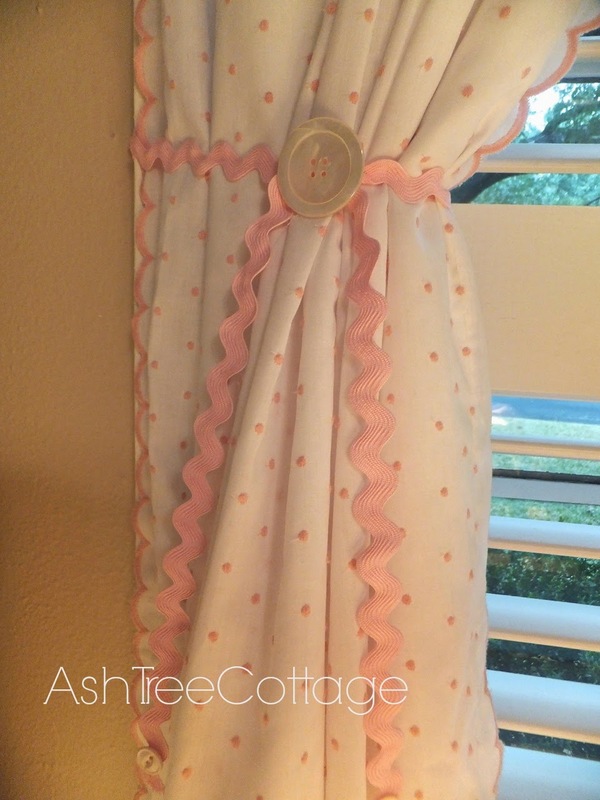 Love your curtains and all the pink, flowery, and soft fabrics...such a sweet space!